Bibi (as he is known, affectionately or otherwise) delivered his latest address to the General Assembly on Sept. 27. Like others he had delivered previously, this one was a tour de force of angst, fear and anger with a nearly singular focus on the issue that has seized Netanyahu for more than two decades—Iran and its alleged nuclear weapons program. In his 1995 campaign autobiography, “Fighting Terrorism,” Netanyahu, preparing to run for the office of prime minister of Israel, asserted that Iran was “three to five years” away from having a nuclear bomb. Bibi repeated this claim several times over the next 20-plus years, apparently unconcerned by the fact that his self-appointed timetable kept coming and going without the Iranian nuclear threat manifesting itself. In September 2002, when he briefly found himself a private citizen, Netanyahu shifted his aim to Iraq, which he confidently asserted had a nuclear weapons program as he touted the benefits of removing Saddam Hussein from power—this during so-called “expert” testimony before the U.S. Congress. 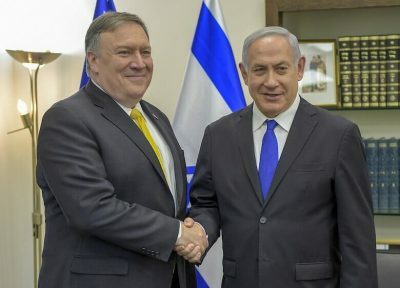 He was wrong on both counts, a fact that seems to slip the minds of those who continue to assign him a semblance of credibility given his proximity to Israel’s vaunted intelligence service. As someone who spent four years (from 1994 to 1998) working closely with Israel’s intelligence service to uncover the truth about Iraq’s weapons of mass destruction programs, I can attest that Israeli intelligence is better than most at what it does, but far from perfect. For every good lead the Israelis delivered to the United Nations Special Commission (UNSCOM), for which I was working at the time, they provided a dozen or more that did not pan out. Their detailed analysis about the alleged organization and structure of Iraq’s covert nuclear program proved to be far removed from the truth. They got names wrong, affiliations wrong, locations wrong—in short, the Israelis made the exact same mistakes as any other intelligence service. Iraq was a denied area, made less so by the presence of UNSCOM weapons inspectors like me who had unprecedented access to the most sensitive national security sites in the country. And still the Israelis got it wrong. They did so not because of “bad intelligence,” but because they, like the CIA and other intelligence agencies around the world, were privy to the vast amount of information and data collected by UNSCOM inspectors about the true state of Iraq’s proscribed weapons and related programs. They suffered from the same lack of imagination as did the others that postulated a nuclear-armed Iraq circa 2002, unwilling to consider the possibility that Saddam Hussein might be telling the truth about not having retained any weapons and related capabilities prohibited by the Security Council resolution. This same lack of imagination appears to fuel Netanyahu’s increasingly wild claims about Iran. It is no secret that Netanyahu has opposed the Iran nuclear deal—officially known as the Joint Comprehensive Program of Action, or JCPOA—since the possibility of a negotiated solution to the stand-off between Iran and the rest of the world was put on the table by the Obama administration in 2012. He lobbied hard against the agreement, interjecting himself in American domestic politics in an unprecedented fashion to undermine the negotiations. When Donald Trump won the 2016 U.S. presidential election, Netanyahu found a kindred spirit whose intellectual curiosity would not permit any effective challenge to the narrative constructed by the Israeli prime minister. And when Trump faced resistance from his secretary of state, Rex Tillerson, and his national security adviser, H.R. McMaster, he simply replaced them with more compliant persons, Mike Pompeo and John Bolton respectively. Trump’s decision to withdraw from the JCPOA was facilitated not by any supporting brief from the U.S. intelligence community, which held fast to the assessment that Iran was fully compliant with its obligations under the JCPOA, but rather by intel provided by Israel that featured wild claims of an operation in the heart of Tehran; hundreds of thousands of documents purported to outline a nuclear program that Iran insisted did not exist. 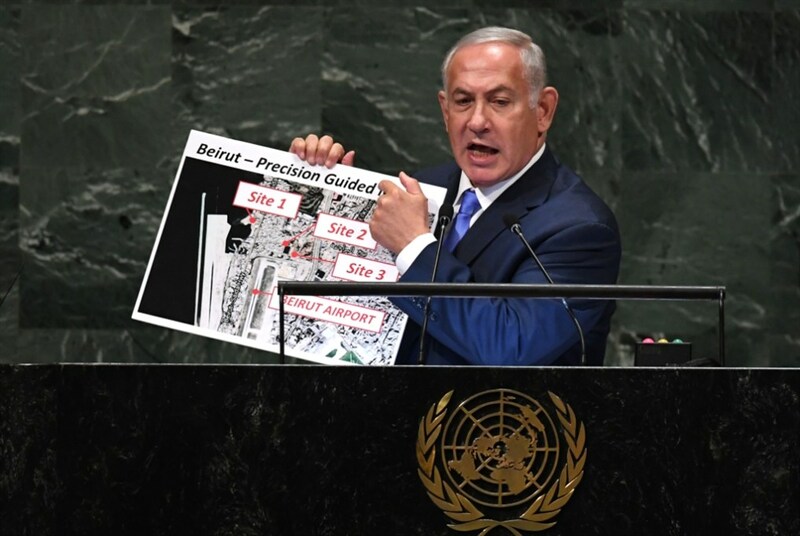 In April 2018, Bibi unveiled the existence of what he termed Iran’s “Atomic Archive” as he detailed some of its contents, allegedly recovered during an Israeli operation. While Netanyahu’s dramatic presentation proved to be enough to help push Trump into withdrawing from the JCPOA the following month, it failed to convince the rest of the world that Iran was operating in bad faith when it came to declaring the totality of its nuclear program. One of the main reasons for this is that the tale put forward by Bibi simply didn’t add up. Documents he presented as being derived from the newly captured archive were recognized by officials from the International Atomic Energy Agency (IAEA)—which, along with supporting governments, is responsible for implementing the JCPOA—as matching those presented to the agency more than a decade ago. That cache of documents was allegedly recovered from a laptop computer sourced to an Iranian opposition group by Israeli intelligence. At best, there is nothing new in these materials, and all the underlying issues alleged to have been “exposed” had already been discussed and rectified by the IAEA and Iran prior to the rectification of the JCPOA. At worst, Netanyahu was lying about the Israeli intelligence operation, and simply recycling old material—which may have been manufactured by Israel to begin with back in 2004—simply to provide political cover for Donald Trump. Netanyahu bemoaned the fact that the world was promised “anywhere, anytime” inspections in Iran, and yet the IAEA has failed to take any steps to investigate the revelations provided by Israel. The reality is that the JCPOA promised no such thing. “Anywhere, anytime” was an artificial construct cobbled together by opponents of the deal by denigrating the investigatory capabilities of the IAEA. Moreover, the IAEA is intimately familiar with the quality of the intelligence information provided by Israel in the past, having spent months with Iran carefully deconstructing the claims contained within. The agency is hesitant to fall victim to Israeli exaggerations and falsifications again, and rightfully so. More importantly, the JCPOA has a detailed mechanism in place to investigate claims such as those put forth by Israel. But by precipitously withdrawing from the JCPOA, the Trump administration has removed itself from that process. This means that Israel would need to turn to the Europeans, Russians or Chinese to plead its case. And the fact that neither France nor Germany nor the United Kingdom has picked up the mantle of Israel’s claims points to the inherent weakness of its intelligence. Netanyahu may be able to play siren to Trump’s Ulysses in order to crash America’s ship onto Iranian shoals, but the rest of the world is not following suit. The American people should not tolerate this continued intrusion into their affairs by an outsider whose previous lies, prevarications and provocations helped get the United States entangled in one war, all the while advocating for our involvement in another. Bibi Netanyahu has a problem with telling the truth, and we give power to his words and deeds by not calling him out for what he truly is—a habitual liar with the blood of thousands of our fellow citizens on his hands. Netanyahu claims he is a friend of the American people. He is, in fact, the furthest thing from it. Scott Ritter is the author of “Dealbreaker: Donald Trump and the Unmaking of the Iran Nuclear Deal,” published by Clarity Press, October 2018. Featured image is from the US State Department.